Consumer behaviour is continuing to develop in ways in which, even five years ago, we could not have predicted. 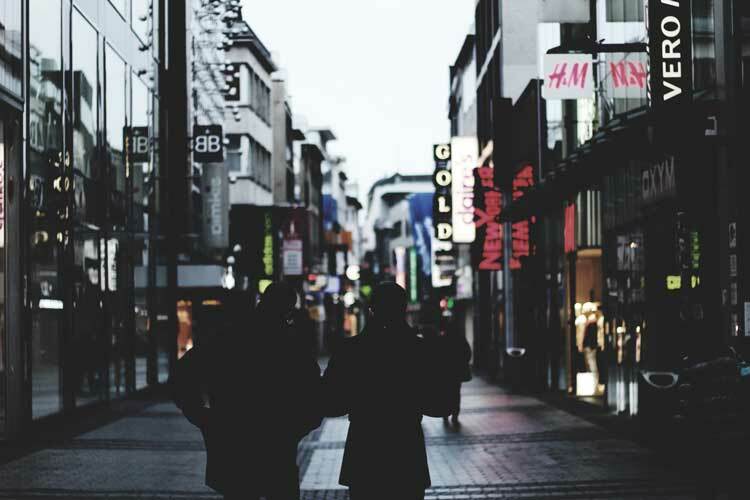 The way in which consumers make their purchases is becoming increasingly complex, and in the uber competitive retail industry, for brands to retain their share of the market, there are a number of key factors to note. Primarily however, it is important to understand the impact of technology on consumer choice, particularly the digital marketing revolution. Digital marketing activities that have the most commercial impact for the retail industry include social media marketing, mobile marketing, content marketing, search engine optimisation, Big Data and wearables. Big Data includes predictive analytics and market or consumer insight, while wearables include activity trackers, for example, and products like the Apple Watch. Recent data showed that around 80% of consumers carry out their research online when it comes to deciding what to buy. Only around 4% will do this research entirely offline¹, so ensuring that a retailer has a reactive online presence, with recent and relevant content, is key. For brands in the very competitive retail industry to maximise its share of the market, it needs to understand and keep up with all the changes in POS software and applications. It also has to appreciate that for a consumer to arrive at the doors of their store, either virtually or in person, there is a journey that the consumer has made via multiple devices, through time and searching to make their purchase decision. This means investing in the omni channel approach, which is a multi-channel sales approach where the consumer is offered an integrated shopping experience. You ensure that the customer has a seamless experience, whether they are walking into your store or shopping on their mobile, their wearable device or via their computer. The use of mobiles and messaging is increasing, and therefore there is a need for a “commercial conversation” online with potential and current consumers to put brands ahead of the game. The majority of websites are mobile friendly and have responsive designs, but messaging apps are increasingly used to market and promote fashion items as well, and some apps such as Snapchat include Snapcash, which is a facility to pay for goods. Start by ensuring that your mobile online content is easy to use and fun, so think about investing in your own app. Retailers must ensure that they capture the attention of the next generation of consumers, sometimes called the Millennials. These are consumers who embrace technology like no other generation before; by 2025 this generation, aged between 6-20 years, will be consumers who rely on their mobile and wearables as their main information source. Millennials prefer to invest in life experiences, which is going to be something of a problem for the retailer of physical goods and products. The retail industry will need to demonstrate that in buying their product online, this up and coming generation of consumers are, in the words of a retail consultant, “leaving a footprint in the bigger meaning of humanity”. This is going to be a difficult message to get across, but in the past, Anita Roddick’s ethos for The Body Shop successfully made her a leader in the competitive field of beauty products, so taking a leaf from her book would be a good starting point. This new generation wants to feel they are contributing to a good cause, so look at how fair trade and ethical clothing companies are marketing themselves as well. If, as a retailer, you want to get ahead, then get your products in front of a blogger who has a very high number of followers. Jess Stein has 1.6 million followers on Instagram alone, and her blog has captured the attention of many more followers of fashion. This is the virtual equivalent of having a celebrity wear your creation on the red carpet, so it’s not surprising that an increasing number of retailers are chasing the same pot of gold. At the same time, start to create your own group of followers. Think about investing in some good quality photographs, start your own blog, set up a YouTube account, and use either members of the staff team or yourself to film demonstrations of your products and local fashion shows that have featured your accessories. What retailers cannot forget, in the steamroller that is the digital revolution and online consumerism, is the customer who walks in through their doors. Retailers do need to invest in brand loyalty and getting content out into the world, but rewarding loyalty is key. EPOS (Electronic Point Of Sale) and payment points can record a lot of information around buying decisions and the demographic of consumers, to the point where brands can email out suggestions for the next purchase or credit vouchers linked to products or services that customers have bought in the past. Remember to develop your customer profile so you don’t miss out on sectors of the buying population. For your most loyal customers, consider including invitations to special viewing evenings or private shopping events, especially around Christmas time, so the customer begins to feel special and the focus of your attention. Rewards such as a free session with a personal shopper will enable the customer to feel linked to you and your brand, and you can do this in person as well as online. Send out birthday cards and exclusive offers, both of which are great ways of retaining brand loyalty. Consumers want to interact with a brand that treats them as a valuable customer. So follow up after a purchase by saying thank you and asking customers for feedback on their buying experience because you want to improve. If they respond and you can use their feedback on your website or in flyers and newsletters, ensure that you reward them for their communication. Remember to keep in touch because this will make you stand out from the crowd, and it shows the consumer you care about more than just taking their money. Of all the consumer and service industries, retail is arguably one of the toughest out there right now. It doesn’t help that the Internet age has brought with it a whole new slew of challenges for retail brands, but there’s also good news. With a little savvy digital marketing and a whole lot of thought, brands are able to connect with their potential customers in more ways than ever before, so it’s up to retailers to seize the opportunities. Paul Rubinstein is a qualified jeweller and the owner of Engage Jewellery. With 15 years of experience in jewellery sales, manufacturing, diamond grading and jewellery design, he is passionate about making tomorrow's heirlooms today. With Engage Jewellery, his bespoke philosophy, which seeks to create what his customers want rather than try and sell them what he has, is key to his successful marketing approach that emphasises personal relationships over simply “making a sale”.